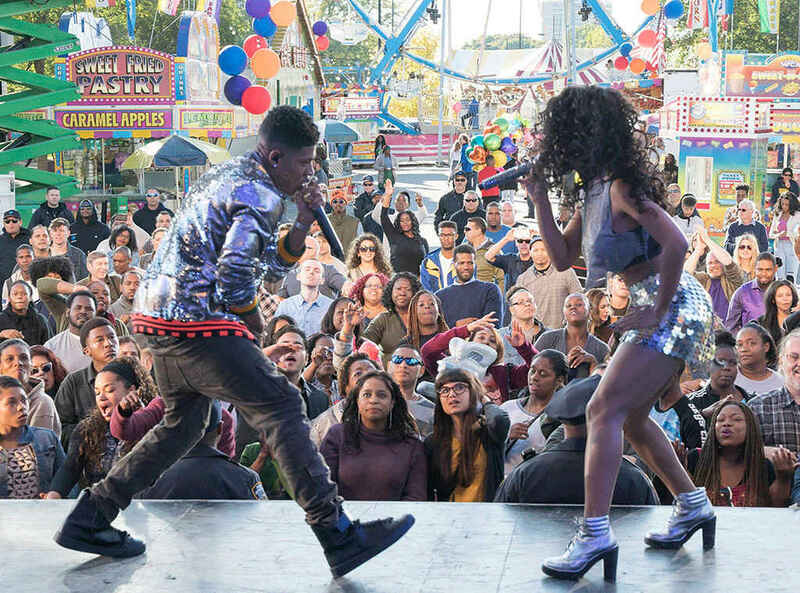 Home Tiana Hakeem and Tiana's Fire Empire Fall Finale Duet, "Starlight"
Hakeem and Tiana's Fire Empire Fall Finale Duet, "Starlight"
It might be getting colder outside, but things are as hot as ever on Empire—especially in the latest duet between Hakeem (Bryshere Yazz Gray) and Tiana (Serayah). E! News has the exclusive premiere of the fall finale single, "Starlight," and it's bound to be stuck in your head as you wrap Christmas presents this month. The song is actually fire, just take Tiana's word for it. The first lyrics she sings are "There is a fire/burning my heart." See? Actual fire. It's even beginning to make us wonder whether it's possible Tiana and Hakeem's relationship will spark up again—they have been flirting recently, so it's not too far-fetched to think about. Besides, as we learned last night, their fans worship them a la and , so they pretty much belong together. (That's high praise, come on. )The episode, titled "A Furnace for Your Foe," will feature Cookie () attempting to help her boo, Angelo (), win his mayoral bid by hosting a free park concert. Elsewhere in the Empire universe, the FBI's continued investigation into Lucious () will see the agency freeze all of Empire's assets, which will naturally have some major repercussions. The Empire fall finale airs at 8 p.m. on Wednesday, Dec. 14 on Fox, and will be followed by a special sneak peek premiere of Lee Daniels' newest show, Star, about the formation of a girl group. Star features newcomers Jude Demorest, Brittany O'Grady and Ryan Destiny as the girl group in question, along with Queen Latifah, Benjamin Bratt, and Amiyah Scott.